The first high-performance COUNTERWEIGHTED extended shifter for B- and D-Series middle-weight Hondas is still at the top of it's game. It provides the FASTEST shifts we can possibly provide. It does this with two highly unique features. MASS and Knob Placement. 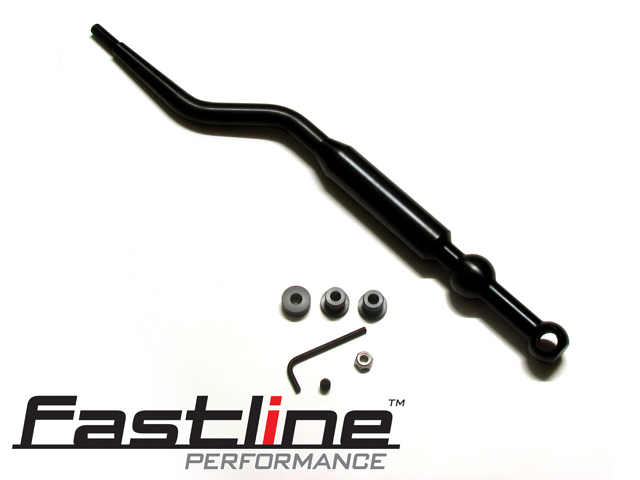 Since 2003, the Fastline Performance shifter has been a go-to racing shifter for Honda-car fans looking to get the fastest, smoothest, and most accurate shifting possible. The secret to the Fastline Performance Shifter formula is no secret at all, as the massive counterweight right in the middle of the shifter provides one thing that competitors overlook: MASS. SMOOTH is FAST. That large lump in the middle of our shifter, combined with the solid-steel construction of the assembly, creates a shifter that weighs more than 4lbs. That mass provides momentum that moves the shifter the gears with speed and ease. The mass of the shifter is what provides the inertia to make shifting SMOOTHER. Don't make the mistake of thinking that short throws are fastest. The distance the Honda-driver's hand moves from gear 2 to gear 3 is short no matter what shifter is in the car. Shortening that throw by 1" might feel like a real benefit to the driver for shift speed. 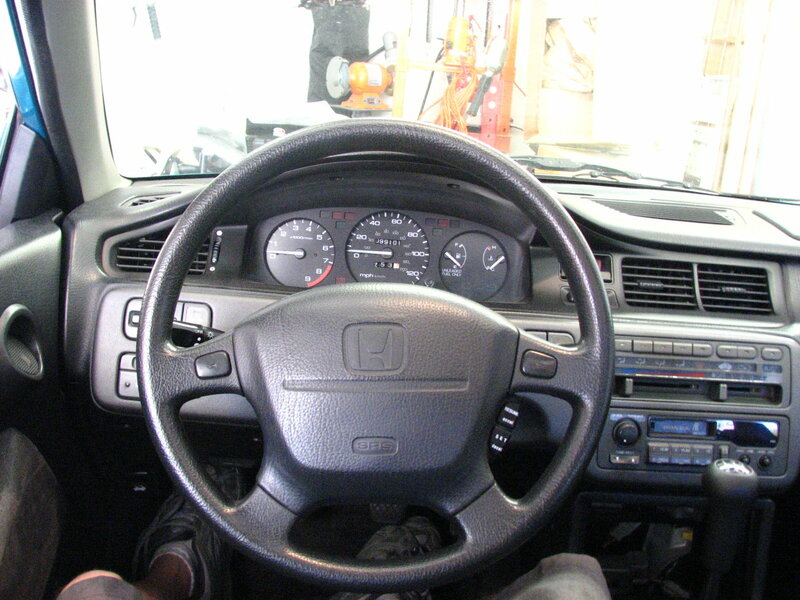 However the distance the hand moves to get from the wheel to the shift knob is a foot or more! By raising the shift knob a few inches and adjusting the knob closer to the wheel, Fastline cuts that distance in half! 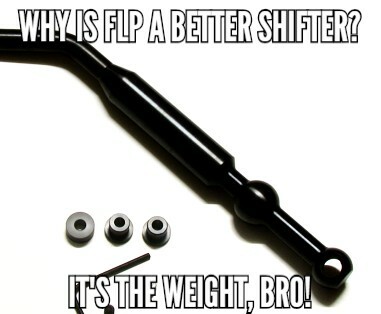 That's right...the FLP shifter in effect shortens the total shift movement by up to 5x over a conventional short shifter. Beware of review videos showing the crisp-short throws of a shifter where the driver's hand never leaves the knob. In performance driving it is imperative that control of the wheel be maintained at all times; as this video shows, the throw is the reach to the knob PLUS the throw itself! Critical to the end of knob placement for performance, the Fastline Shifter comes with the one and only adjustment needed for true performance. 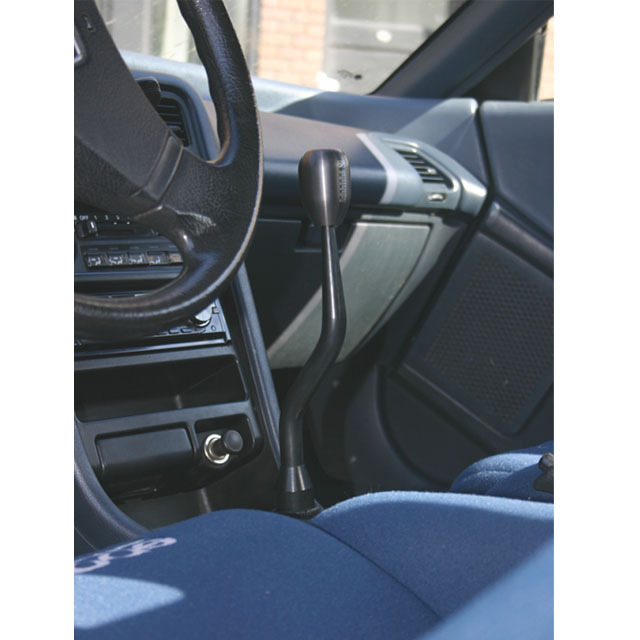 The Fastline handle is able to rotate closer or farther to the steering wheel to accommodate various racing wheel diameters. The Fastline Performance Shifter has stood the test of time and continues to be our favorite speed-shifting solution for B- and D- equipped Civics and Integras. The Fasltine Performance Shifter has been produced & distributed exclusively by Heeltoe Automotive since 2003.